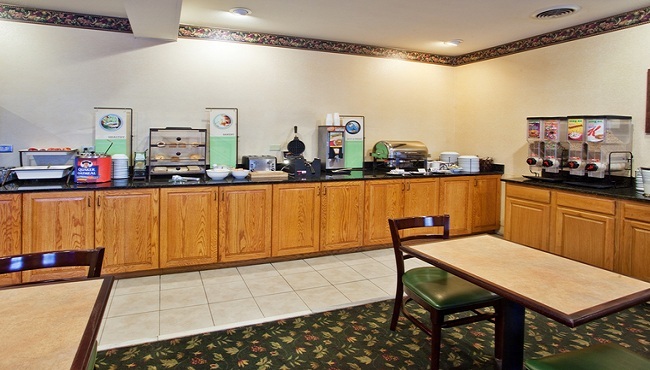 Shut off the alarm and head down to the complimentary, hot breakfast at the Country Inn & Suites, Newnan, GA. Each morning our dining area fills with the scents of bacon, biscuits and sausage gravy. If you’re looking for a light meal, pair fresh fruit with yogurt or cereal. When you’re ready for lunch or dinner, you can visit a nearby restaurant like Meat ‘N Greet.